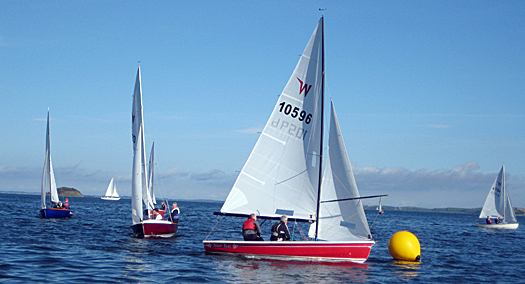 While his plan of building an OK Dinghy has stalled due to family commitments, his sailing has continued in other classes. This includes the Wayfarer, where he has quite a history. Trevor Fisher just won his 4th consecutive Wayfarer National Championships, equaling his father’s record! It’s just a pity that he’s not sailing an OK Dinghy, really!